Notes: Both St. Lukes and Grève D'Azette opened on 1st June 1896, replacing George Town which closed the previous day. 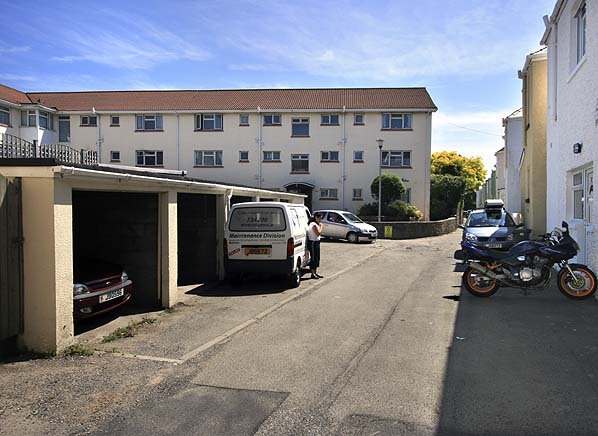 The station was opened to serve new housing as St. Helier expanded, Longueville and the north end of the popular Grève D'Azette beach, it took its name from the local church. The platform which was 225 feet in length was on the down side of the line. 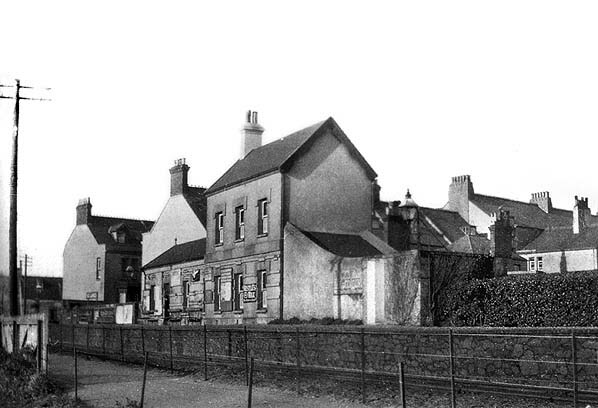 The station buildings were of stone and similar to others on the line but somewhat narrower, perhaps because of the confined site. 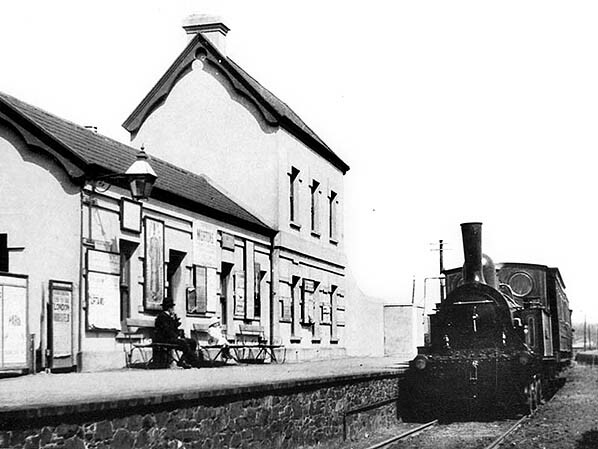 There was a single storey booking office and waiting room alongside a two storey stationmaster's house. traffic failed to materialise apart from some fish traffic between La Rocque and Snow Hill from the 1880s until 1914 in an open wagon or an additional brake van attached to the back of a passenger train. operating (they started operating on the J R & T in 1923) probably hastened the eventual closure of the line. Railcars would only have delayed the inevitable. 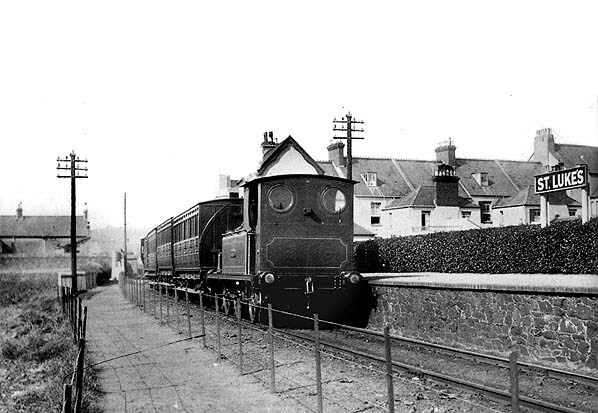 A Gorey train waits at St. Lukes station c.1900. Caesarea hauls a Snow Hill train into St. Lukes station c.1920s. 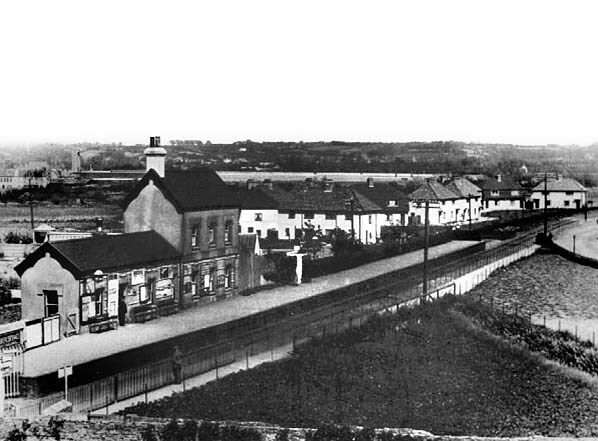 Note the stationmaster's house is narrower than other houses on the line. 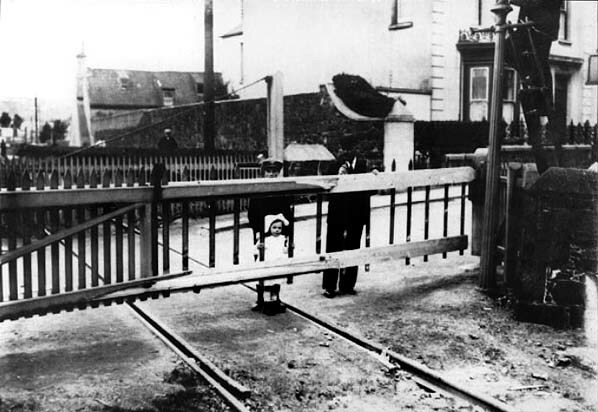 St. Lukes level crossing (unknown date). St. Lukes station (unknown date).